Following a few spikes in overseas visitor numbers, I became alert to the fact that – aside from the autobiographical context in the entries – I haven’t actually formally introduced myself and yet here I am telling you what my favourite 143 songs are. So hello. 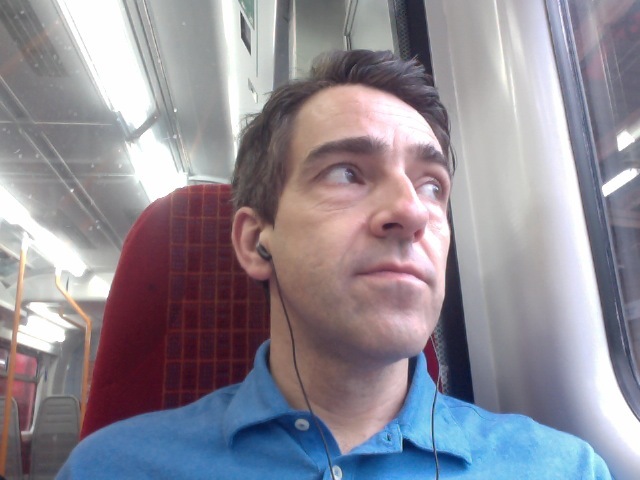 This is me, above, taken a couple of years ago, almost certainly listening to The 143 on a train moving majestically through Southwest London, the pizza slice of the capital I call home. Though I have lived in London for 35 years, I was born in former shoe capital of England, Northampton in the East Midlands, in 1965, and salute the town for raising me without fear or prejudice. I apologise for disloyally shaking off the accent once I arrived in London. I am the eldest of three, so lacked the fabled older brother to guide me into meaningful music appreciation and get me into prog rock in the early 70s. (My friend Matt at school had an older brother who indoctrinated him into Emerson, Lake & Palmer, whose albums I could name as a result, but never listened to.) My first loves were football, comics and horror films, but there was music in the house, my Mum loved Elvis and she and Dad would do the jive as a default dance at social gatherings. (He still does a mean karaoke Elvis in his 70s.) 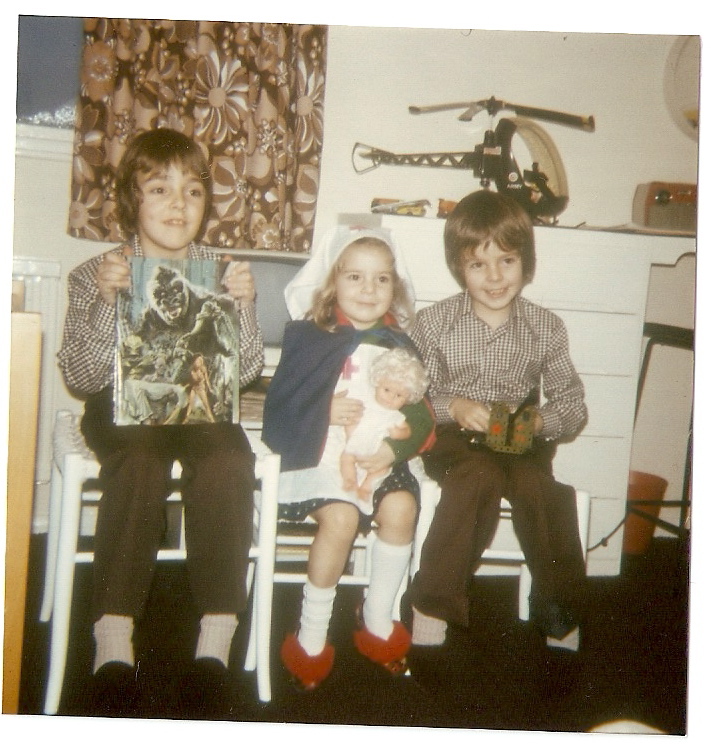 We had a family record collection that sat in a wire rack within the “music centre”, a wooden cabinet containing a turntable and whose sharp corner I fell onto as a boy, the resulting wound in my cheek delivering me to casualty for stitches. In the mid-70s, we graduated to a hi-fi that had a built-in cassette deck, and recording our favourites from the Top 30 on a Sunday night became a ritual. 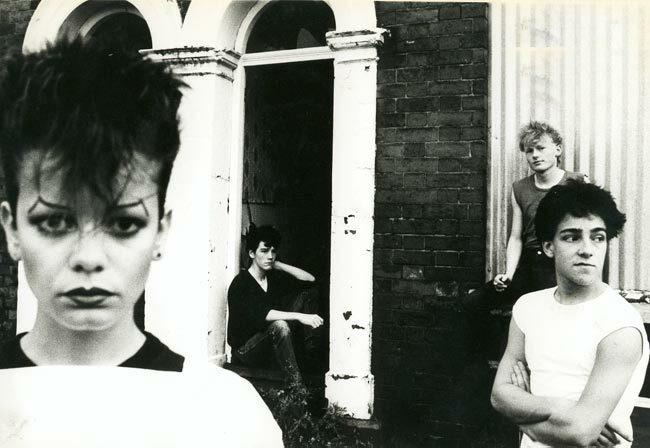 In 1979, aged 14, I discovered punk and formed a breakaway republic. 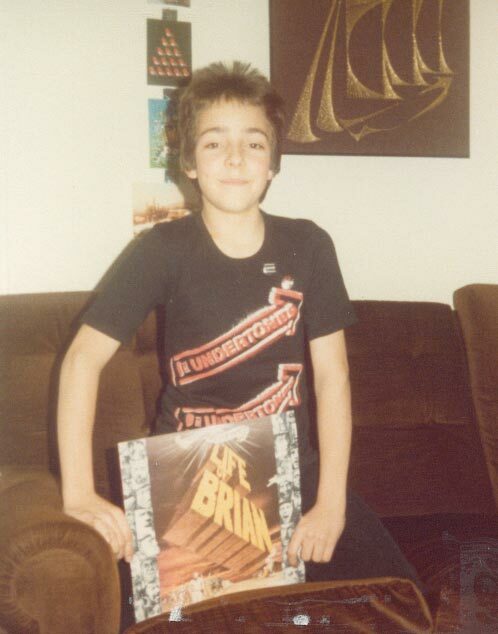 By Christmas, I had spiky, cropped hair and one of my main presents was an Undertones t-shirt, which my parents sent away for using an ad in the back of the NME, which had become my bible. But I went through a formative trial period before I landed at the doorstep of Feargal Sharkey, the Buzzcocks and 999. Although the parental LP collection included the 1975 John Lennon compilation Shaved Fish, City To City by Gerry Rafferty and one of Bryan Ferry’s tuxedoed solo records, my first inherited favourite band was the Electric Light Orchestra. 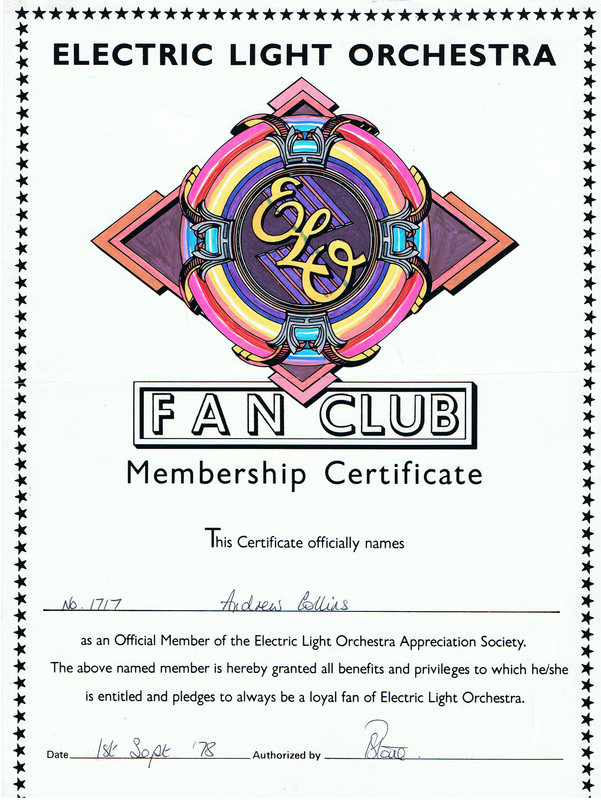 They were officially my Dad’s band, but New World Record hooked me in, and its magnificent gatefold follow-up Into The Blue led me to join the ELO Fan Club. I had crossed a Rubicon into active fandom. Punk was officially dead by the time it reached the Clash’s “faraway towns” – Sid Vicious certainly was, and the Pistols were flogging a dead horse – but I only knew what I knew, and 1979 was my Year Zero. I was forced to denounce ELO and all their works, and although I came back to them in adult life, it was a necessary rite of self-conscious passage. I joined the 999 Fan Club instead, whose newsletters weren’t as colourful or neat. 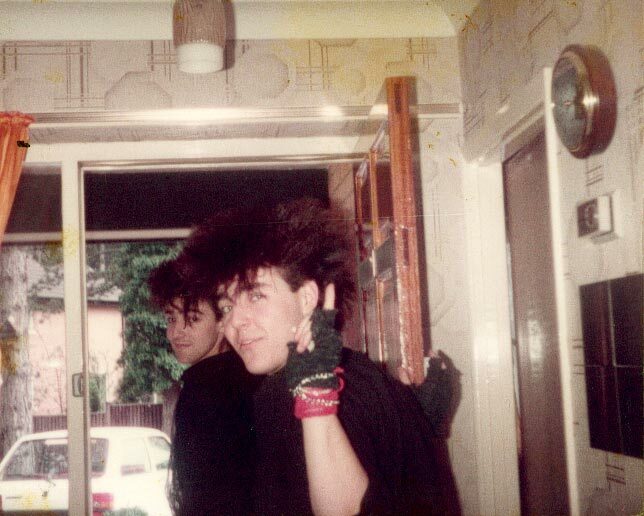 As the 80s unfolded and I neared my 18th birthday, I found myself enrolled in a kind of cult which wasn’t then called Goth, but certainly involved hair gel, lacquer and long macs from charity shops (or our Dads’ wardrobes). Post-punk crossover bands like The Cure, the Chameleons and Echo & The Bunnymen became our beacons, in terms both musical and sartorial. We formed a band, Absolute Heroes. You had to in early-80s Northampton. (That’s us, taken by professional photographer Mitch Jenkins – me and bassist Craig are rocking the cap-sleeve t-shirts.) We played gigs in pubs, and watched other, similar bands play gigs in the same pubs, and it was a scene. Although I would soon be away to London, I had a whale of a time in my mid-teens, smashing away at a secondhand drum kit in the Black Lion and trying to sound like Kevin Haskins or Pete de Freitas. By 1984, the year I did a one-year Art Foundation course at the local tech and really started to upset my Mum with my tatty Oxfam coats, enormous hair, lack of socks and ambiguous sexuality, I had found my brand, as they say. I could never have imagined, during those three years, that instead of a career in commercial art, I would land one in music journalism. But by sending a copy of my first fanzine to the new Features Editor of the NME in 1988, hoping for little more than a plug, I wound up working there, laying out pages in the old-school style, using Letraset and carcinogenic spray mount. 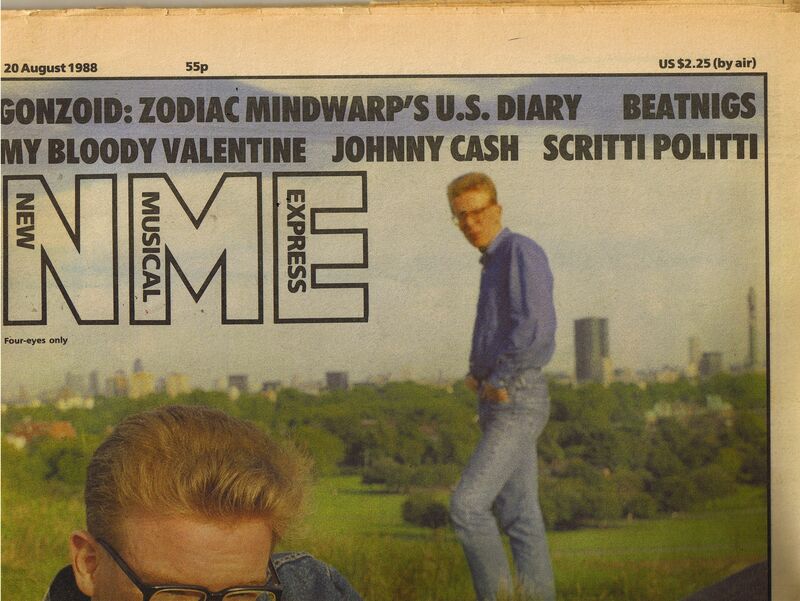 Here is the first NME cover I laid out (when the Art Editor was on holiday and left me in charge). It was The Proclaimers. 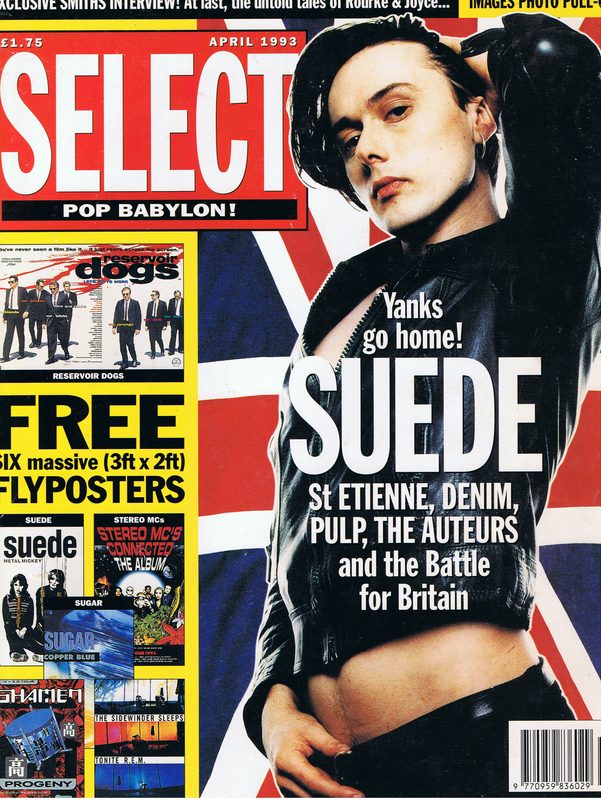 And here, a year and a bit later, is the first NME cover story I wrote. It was The Fall. As you can see, American Dream style, the journey from the calloused art room to the actual NME editorial office was short, and hazardous, but achievable. To go from layout monkey to bylined journalist involved a lot of badgering of senior section editors, something I found I was more than willing to do. Having tasted the inside of the media, I wanted more. I would literally have reviewed anything at that empowering time, and risked not just rejection but humiliation every time I crossed the floor in my art-school dungarees. But eventually they caved. This is the first review I ever had published. It is of a film. The yachting thriller Masquerade. From that day forward, I was a professional journalist and critic. Being an NME reader was, I discovered, the only qualification for being an NME writer. A love of music was the only other requirement. (And films.) It is important to point out that at no stage along the ensuing decade of gainful employment in the magazine publishing caper did I ever operate under any delusions of grandeur where writing was concerned. I was, if anything, a reliable writer. A punctual one. A neat one. These qualities can see you through in a world of self-mythologising flakes and fly-by-nights. It’s how I ended up as Features Editor: commissioning other writers to write, the perfect job for someone who loves writing, but appreciates that there are better writers to be writing it. You get to edit, and package up, and headline, and caption, and that’s a thrill in itself. When I graduated to glossy monthlies in time for Britpop, after four years at the inky coalface of the weeklies, it was time. I was 28 when, without masterplan or roadmap, I left the NME; it struck me as the right thing to do. My next ports of call – Select, then Q (with a brief stop-off at Empire along the way) – were for the over-30s, and suited my time of life. 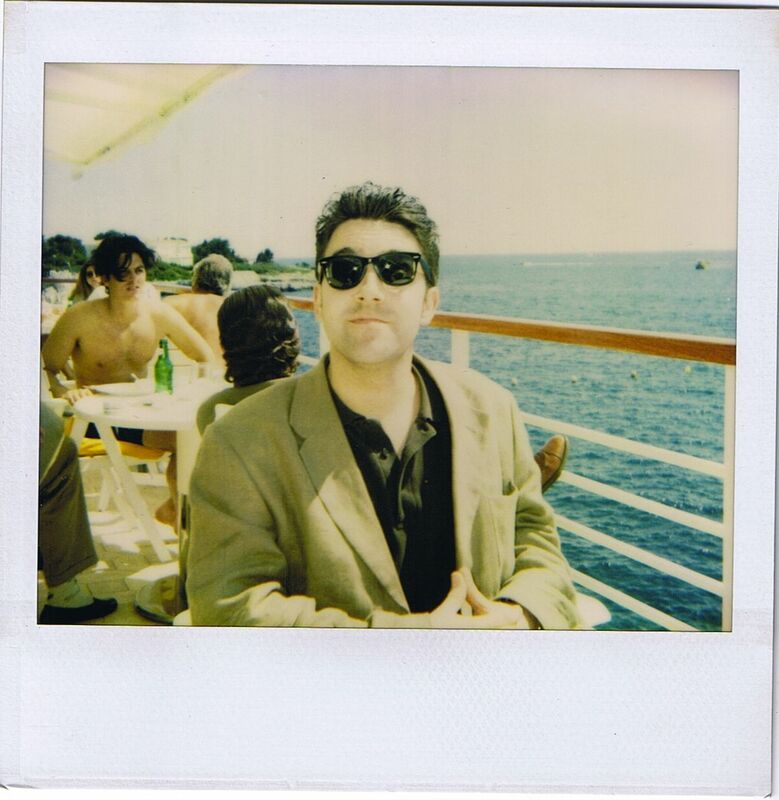 See how grown up I look by the time I hit the heady executive heights of being the editor of Empire in 1995. In truth, I stumbled into high office. Having set out to write about music (and films), the series of desk jobs by which my life is measured out between 1988 and 1997 tell a different story: I’m basically in the admin game. Sitting in a swivel chair, answering the phone, planning, organising, commissioning, collating, ordering, producing, finishing and signing off. Newspapers and magazines come to life through an industrial process, sprinkled throughout with creative endeavour and human input of course, but you’re part of a machine, and that can be comforting and secure, or demoralising and dehumanising. I was lucky to work with some fine men and women at IPC, then Emap, and I continue to enjoy that sense of shopfloor camaraderie, resentment and union at Immediate, the company that bought Radio Times off BBC Magazines. 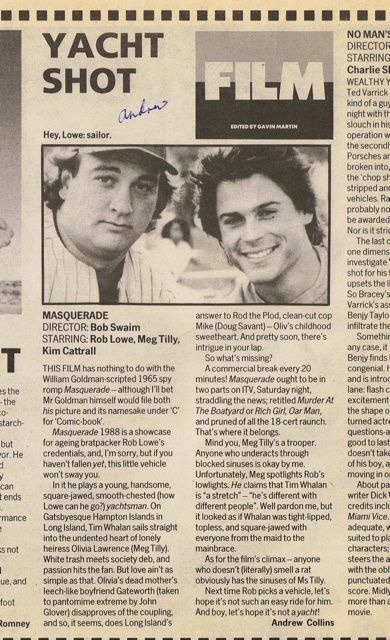 That my first ever review, of Masquerade, should have led to an 18-year tenure (and counting) as Film Editor of a glossy listings magazine is poetic enough. I write reviews of films every week, and my workload has doubled since 2017 when we lost my broadcasting hero Barry Norman as a regular reviewer. Though I never did get his gig as host of BBC’s Film programme after Jonathan Ross vacated it. I auditioned for it, as I was by then a broadcaster. How did I pull that off? Frankly, without much effort or forethought, or even ambition. 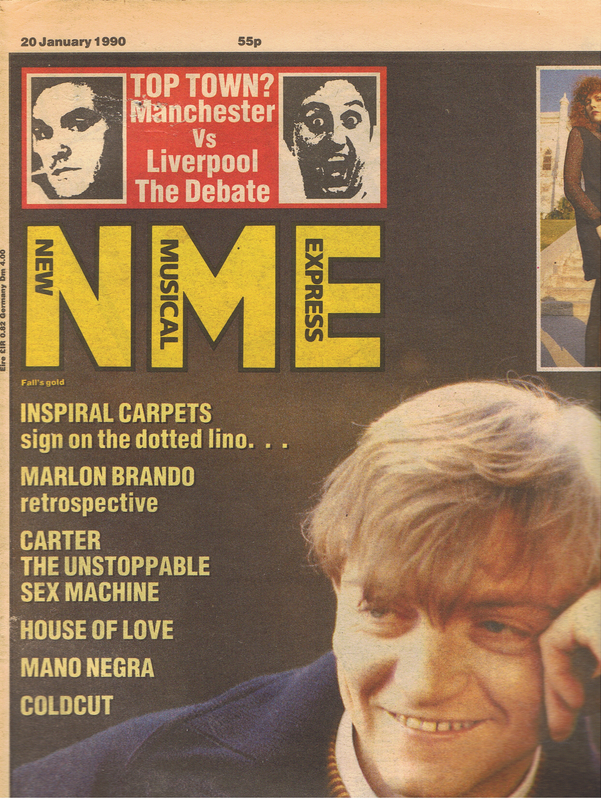 In the early 90s, while at the NME, like any rock journalist I was occasionally called up to comment on matters musical on the radio – my first regular gig was to plug each week’s NME on Radio Luxemburg – and by 1992, my colleague Stuart Maconie and I had a regular satirical slot on a lively magazine show called The Mix on the newly-launched BBC “yoot” network Radio 5. 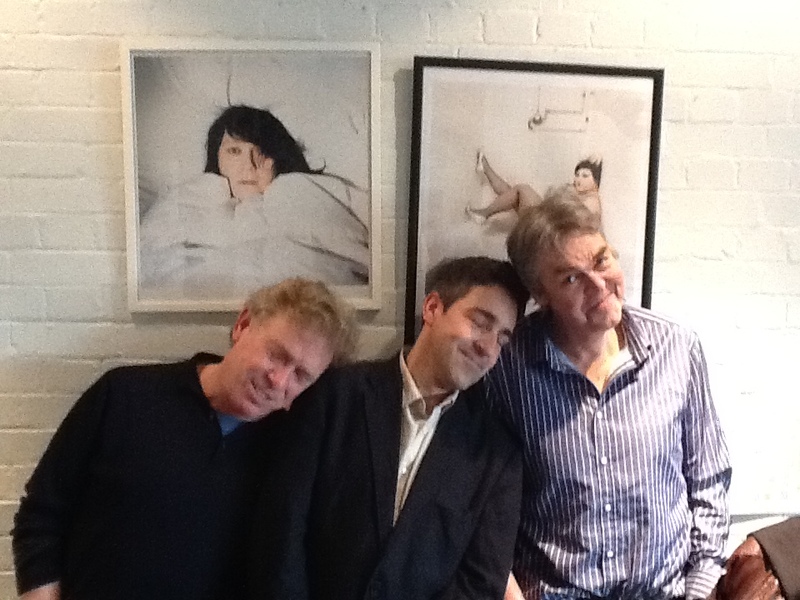 From this modest springboard, we launched ourselves as a double-act, providing similar funnies for Mark Goodier on Radio 1, then presenting our own roundtable-type show on the same station for a number of years, and the live radio coverage of the Brits and the Mercury Prize, something I can barely believe we had the chutzpah to do. 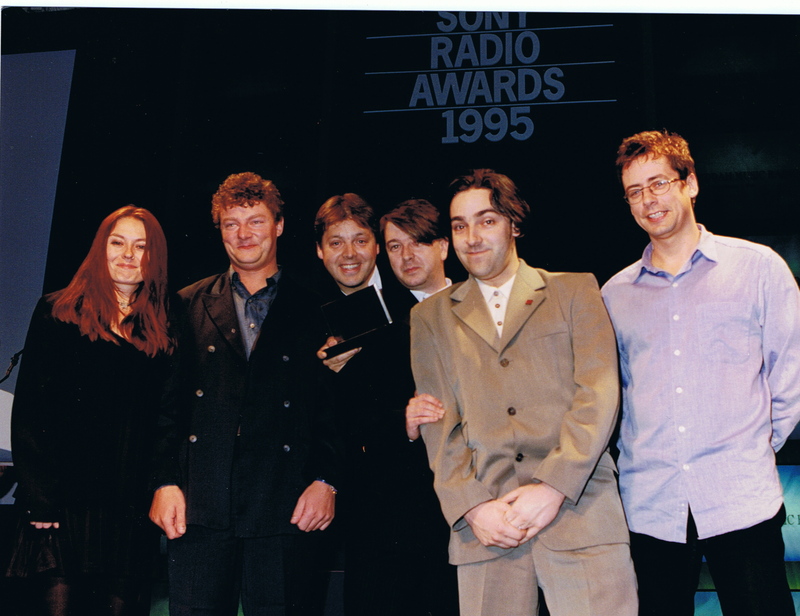 Here we are – with Mark, whose production company made the show – picking up a Sony Award for Collins & Maconie’s Hit Parade in 1995. I had two suits by then. I’m rather enjoying this mini illustrated memoir. It’s helping me contextualise myself! Having grown fat and tired by 1997, I left my day job as editor of Q and attempted to reinvent myself as a scriptwriter, taking up the offer of trying out for a brand new soap, Family Affairs, from a new pal, former Brookside exec Mal Young, who was keen to develop new writers from scratch. 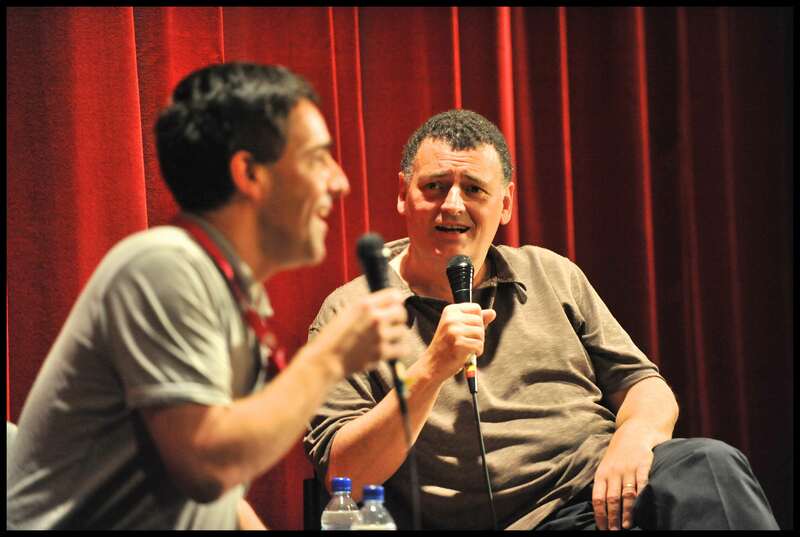 That gig, during which I penned around 30 episodes, led to EastEnders, where I produced eleven episodes. This was like re-training, a paid apprenticeship in a whole new sphere of rearranging the English language where I learned pretty much everything I know today about scripting and storylining – also, not being a prima donna, handing work in punctually, to length and to time, and concentrating on the job in hand. The only reason I gave up EastEnders in 2001 was that a new broadcasting opportunity had arisen. 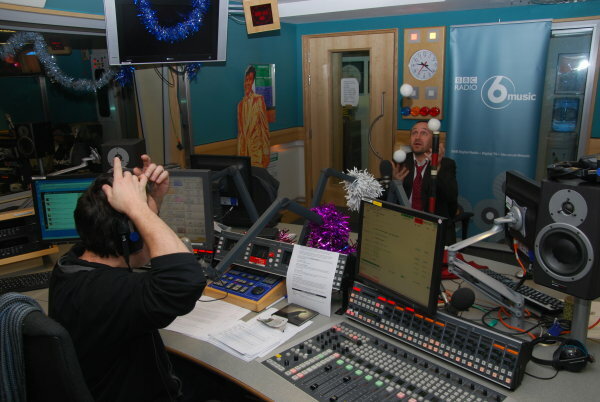 What a carnival of larks I had on 6 Music between its launch in March 2002 and my last ever dep in September 2012. Whether hosting the Teatime show 4-7pm every weekday, Roundtable, any subsequent configuration of weekend shows, solo, or with Richard Herring and then Josie Long, or simply deputising for Nemone, Lauren, Shaun or anybody else who needed me, there’s little to add but rapture. For that decade-and-a-bit, I was a BBC DJ. Nothing ever lasts forever. A return to the coalface of journalism – and indeed, being an actual columnist – was accommodated by Word magazine, a safe haven for ideas, punts and big-hearted solipsism. It was better than good while it lasted – and, it introduced me to the new-fangled joys of podcasting. Comedian Richard Herring and I forged another double act behind the built-in mic of a MacBook (and later, onstage, for money), and for three years I was “Collings” to his “Herrin” until petty rivalries got in the way, and I realised he didn’t need me, and nor did I need the abuse. Another end of another era, although it enabled me to make a dream come true and perform my own solo stand-up show at the Edinburgh Fringe. There’s even a DVD of it. Then I retired from comedy. Actually, hanging around comedians has put food on the table for many years. 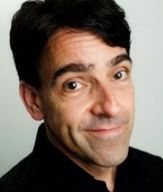 I have been teamed up with professional stand-ups and comedy performers on many an occasion, and some of those blind dates have led to gainful employment and notches on my CV. I was introduced to The Fast Show‘s Simon Day and we ended up writing Grass, a serial sitcom about the witness protection programme which aired on the newly-renamed BBC3 in 2002 and BBC2 in 2003. I remain inordinately proud of it, although very few saw it at the time. 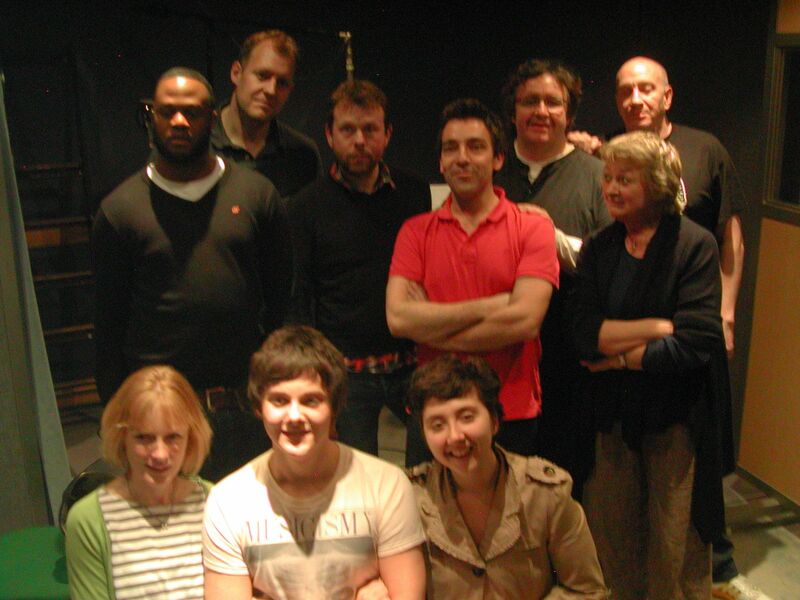 This led to being teamed up with Lee Mack, with whom I co-wrote the entire first series of Not Going Out for BBC1 in 2006. I co-wrote a number of further episodes in series two, three and four, and we picked up two awards, the RTS Breakthrough award, and the Rose D’Or for best comedy. 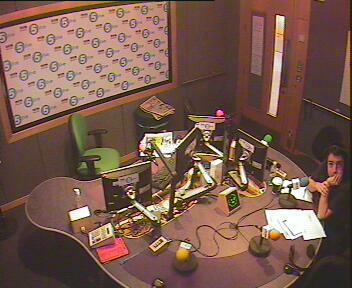 Although I no longer work on the show, it opened many doors for me, and when I finally wrote my first solo comedy, Mr Blue Sky, for Radio 4, I felt I had achieved something. Even if it was cancelled after series two. What fun it was to play with this particular train set. Actually, you could always glance at my IMdB page. It’s almost accurate, although no matter how many times I tell them that I wasn’t in Black Books or Red Dwarf, they refuse to remove these entries. In 2013 I celebrated 25 years in showbiz, still unsure what I actually wanted to be. (Actually, I didn’t celebrate it.) In 2015 I was invited back on the radio by Classic FM, my first contracted job on commercial radio, and I’m still there, hosting Saturday Night at the Movies every week, playing music from films, thus uniting two of my favourite things, films and music, with one of my favourite jobs, talking on the air. I find I like whatever it is I’m doing at the time. When I broadcast on the radio, I like doing that – the connection, the enunciation, the challenge of finding new things to say and the warm response from Classic FM listeners. When I am writing a script in Final Draft, I like doing that – the authenticity of it all, the authority of the Courier typeface, oh and creating a story out of nowhere. If I had a writing dream, it would be scripts and reviews. I could live without ever appearing on television ever again, although I do like to get up in front of a small audience. I’m most likely to be asked to do that as a host, or moderator, at a Q&A or screening or, in recent years, a live orchestral concert, which is a new thrill, and that role suits me. I will facilitate or introduce for cash, as I like to meet talented people. Here’s me with one at the Edinburgh TV Festival. I feel I have worked hard in my 30 years of exploring the outer limits of what it means to be “in the media”, but a lot of that work has led to dead ends, failed projects, one wasted but enjoyable week’s pitching in LA, at least one professional spat that made the Media Monkey gossip column in the Guardian, and in some cases, near-exhaustion. Something keeps me going other than the bills, and I’m happy not quite knowing what that is. One thing that has remained constant is my need to put one word after another. Even when I was making pictures, I liked to put words on them. My degree show at the end of my three years at Chelsea School of Art was dominated by a large-scale Mad magazine-style comic strip about my three years at Chelsea School of Art. Solipsistic? Arguably. But this was art school and other graduates made smears on canvas and made you guess what they were about. Mine was certainly self-effacing, and intended to entertain. But most importantly, it was a story, just like the one I’m trying to tell in whichever scriptwriting project that’s currently eating my daylight hours. And just like this. Now, you can read my blog with a better idea of who’s writing it. Even if I’m not 100% sure yet. The 55 is a cheeky tease. As I have finished the 143, with plenty more tunes that should have made the list, I considered starting an overflow blog called The 55, and add another batch in. But actually, I might just add them here and call them “bonus tracks.” I will remain under this URL roof. Aztec Camera and Orange Juice will be entered.